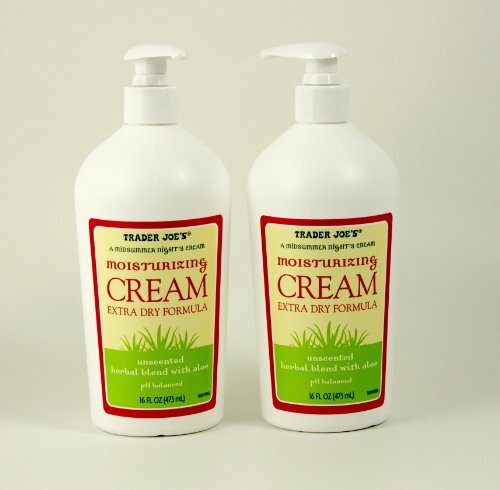 2 pack each bottle is 16 fl oz Trader Joe's A Midsummer Night's Cream moisturizing cream extra dry formula. Unscented herbal blend with aloe ph balanced. Formulated to soothe and condition skin exposed to the harshness of the environment. For best results, it should be massaged thoroughly into the skin morning and evening and as needed. This moisturizing cream is a special combination of oils and proteins that will help replenish your skin's lost moisture and provide a protective barrier from external elements.